The Burford Capital Limited (LON:BUR) 2015 results were excellent. With income growing 26% to $103m and operating profit up 27% to $77.2m, Burford continues to show the benefits of its careful investment policy. A single case with a return of $61m caught the headlines, but the benefits of diversification were evident with 16 investments contributing to cash flow from litigation investment of $140m. The return on invested capital from investments is now a cumulative 70%. 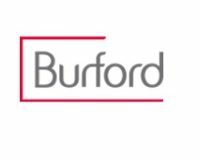 The results further confirm Burford’s ability to produce impressive financial returns while generating meaningful growth. ► Investment: Last year Burford made 18 new investments and commitments of over $200m. At year end the fair value of investments was $320m with $213m of contingent commitments. Since then it has made an additional investment of $100m, boosting invested capital from 54% of equity a year ago to 77% now. ► Retail bond: Burford maintains a strong balance sheet. The additional investment leaves it able to fulfil its commitments, but possibly limited if larger opportunities are found. In order to be able to take full advantage Burford will be issuing another retail bond shortly. ► Valuation: The upgrades to our 2017E figures suggest that Burford remains undervalued relative to its potential. The prospective P/E for 2017E is just 10.2 times. With the additional investment we believe an RoE in the 15-17% range is sustainable while still growing its invested capital quickly. ► Risks: The investment portfolio is fairly focused with some very large investments, which means revenue may be volatile. As the company matures we would expect that to decrease, but not to disappear. As expected, revenue from the insurance business is declining post the adoption of the Jackson reforms. 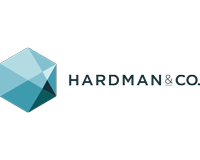 ► Investment summary: Burford Capital Limited has already demonstrated an impressive ability to deliver good returns in a growing market while investing its capital base. As the invested capital continues to grow, the litigation investment business should continue to produce strong earnings growth.